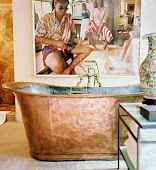 To da loos: West Elm has jumped on the round mirror band wagon! 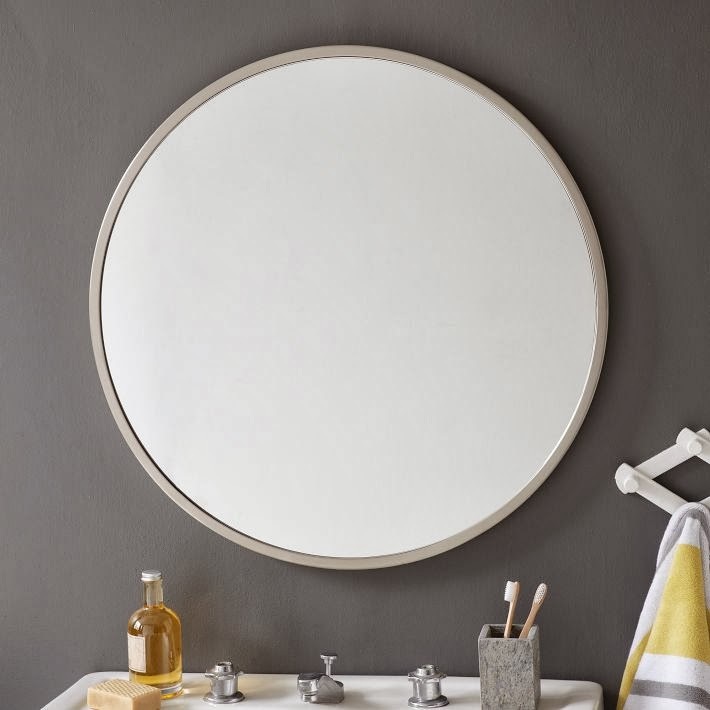 West Elm has jumped on the round mirror band wagon! 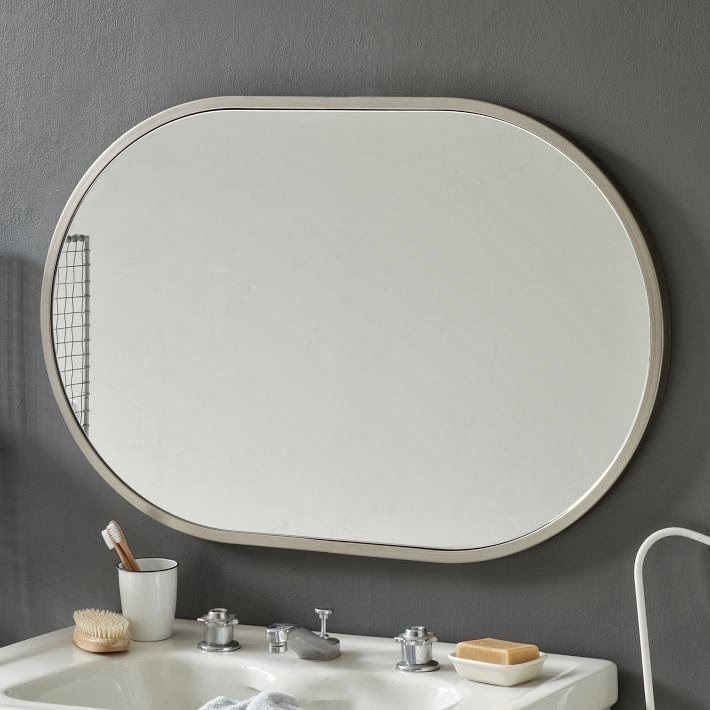 Looks like I'm not the only one going ga-ga over round mirrors, West elm has just added these fab and sleek round and oval mirrors to their product line. 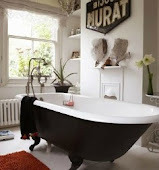 Now the round mirror is a bit smaller then the big round mirrors I was obsessing over in this post (here), but I do love the nice clean lines and it does work great over this sink. 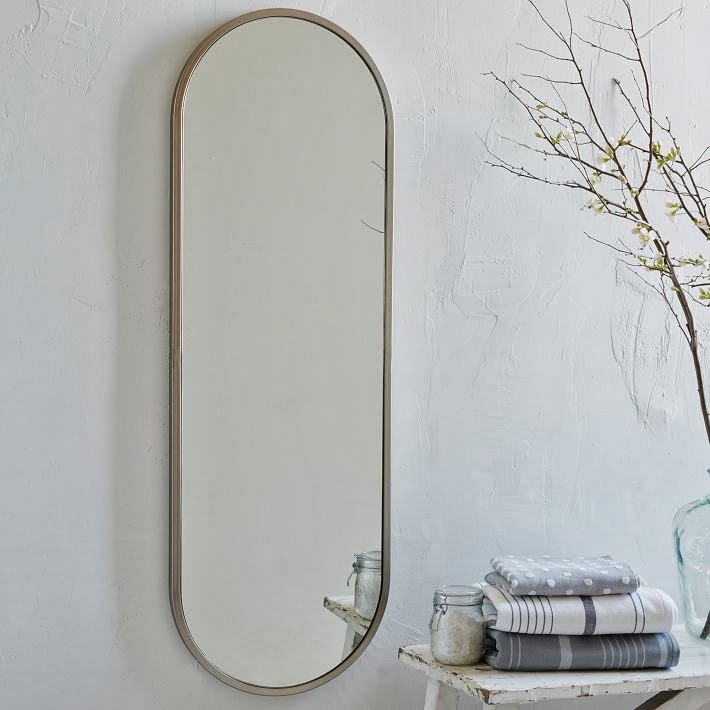 To go with the Oval mirror, West Elm has a matching long mirror. 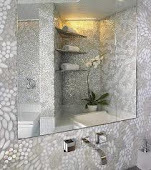 It would be perfect to put on the back of the bathroom door or for a dramatic look, if you have the ceiling height, you could get 2 of the floor mirrors and hang one over each his and her vanity sinks. 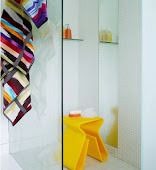 The long floor mirror could also be used in a really narrow, small powder room as the vanity mirror. 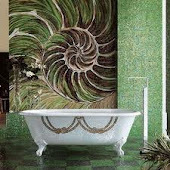 Paired with a simple floating vanity, marble flooring and spectacular wallpaper or black paint or brick or bold mosaic pattern on the wall behind the mirror, this could be a real show stopper. And this one features both oval and round mirrors.